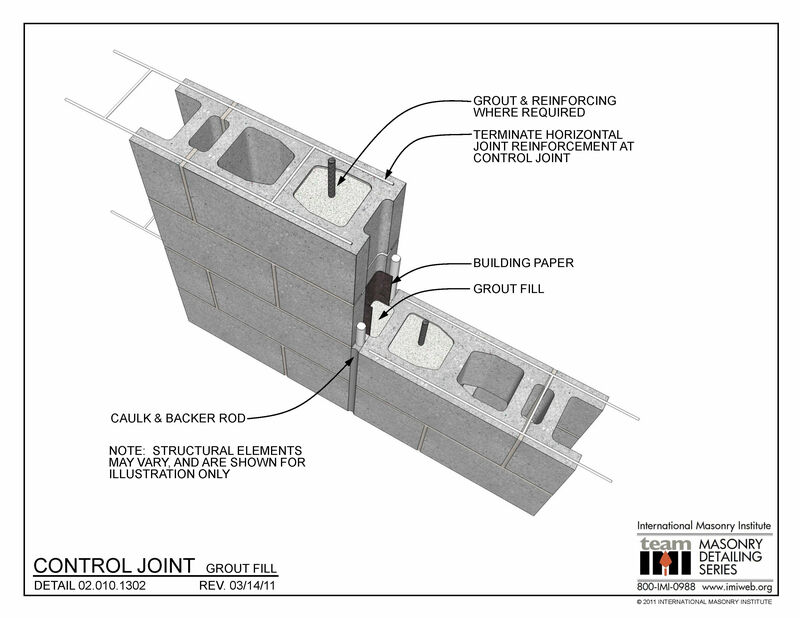 This detail shows standard CMU being used at the vertical control joint, with vertical grout fill used to key in the block. 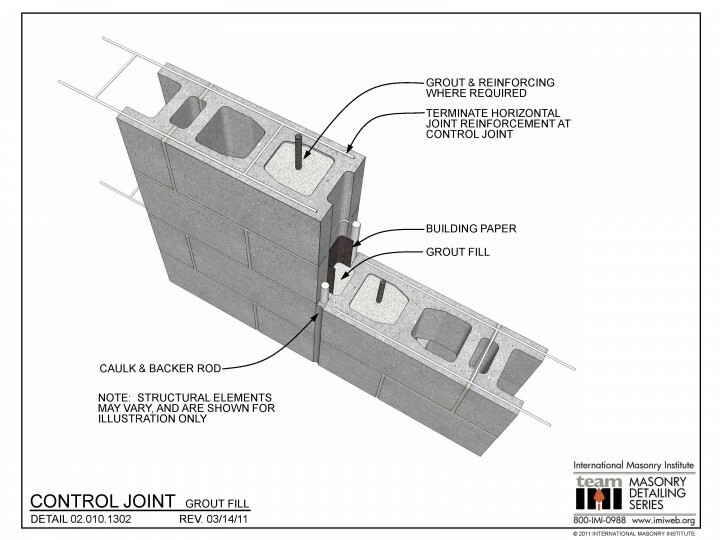 The building felt breaks the bond at one side of the grout fill, to allow for shrinkage of the block, while providing some resistance to lateral loads. There is horizontal joint reinforcement at 16″ o.c. vertically in the wall, interrupted at the CJ. The detail shows optional vertical reinforcement and grout at the cells adjacent to the CJ, as well as sealant & backer rod.